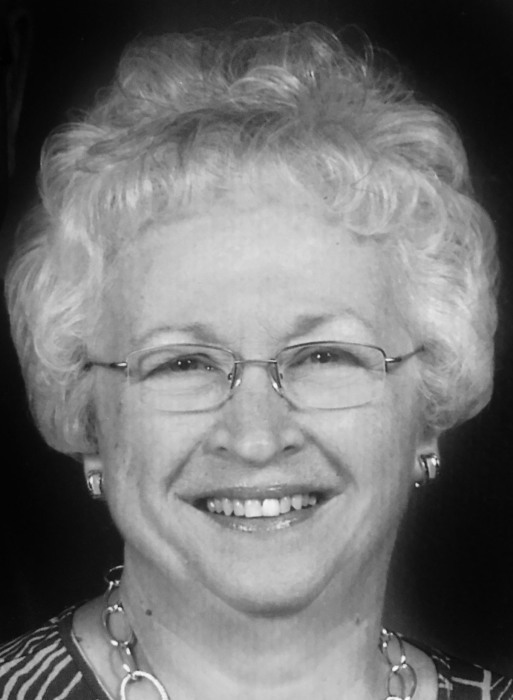 Phyllis Walker Powers Emmick, 76, of Lewisport, passed away Thursday, February 7, 2019, with her family by her side. She was born on January 19, 1943, in Hancock County to the late William F. and Nellie Gray Powers. Phyllis was passionate about helping others and serving her community. She was a former EMT, librarian at Lewisport Library, and an employee at the Hancock County Extension Office. She spent many hours volunteering for the 4H program. She was a dedicated member of Immaculate Conception Church, where she was the first female lector in the parish. She spent many years teaching Sunday school, was an active member of Immaculate Conception Catholic School’s PTO, and selected as a Sophia Award recipient. She served on Owensboro Symphony Orchestra’s Board of Directors as well. Phyllis was a remarkable cook and enjoyed preparing meals for her family and friends. In addition to cooking, she enjoyed gardening. She was honored to be awarded the title of Master Homemaker. She will be remembered for her kind heart, joyful personality, and infectious laugh. She was blessed with the gift of helping those in need simply by listening. She never met a stranger! Through all of her accomplishments, her most treasured role was that of being “mamaw.” She adored the time spent with her fifteen grandchildren and never missed an opportunity to brag about them! Mrs. Emmick was preceded in death by a grandson, Alan Hodge Jr.; a brother, Bill Powers; and a sister, Susie Pryor. She is survived by her loving husband of 55 years, William S. Emmick; her children, BJ (Laurie) Emmick of Owensboro; KY; Mary Margaret Hodge; Dan (PJ) Emmick; John Emmick; and Rebecca (Mack) Cummings all of Lewisport; her grandchildren, Whitney Emmick, Kristin (Matt) Rapp, Logan Emmick, Dylan Emmick, Michal Cummings, Grayce Emmick, Lexi Hodge, Prestyn Emmick, Nolan Walker Cummings, Landyn Emmick, Waylan Emmick, Natalia Cummings, Jacob Hodge, Hayden Emmick, and Wyatt Emmick; one great-grandchild; Blakely Rapp; her siblings; Anna (Mack) Strickland, John (Lynn) Powers, Beckey (George) Doyle, Nick (Susan) Powers, and Nathan (Tina) Powers, and her sister-in-laws, Judy Powers and Mary Emmick; as well as many nieces and nephews. The Funeral Mass will be at Immaculate Conception Catholic Church on Tuesday, February 12, 2019 at 11:00a.m. Visitation Monday, February 11, 2019 from 2:00-8:00 at Gibson and Son Funeral Home, Lewisport, KY, with the rosary being said at 5:00p.m. Visitation Tuesday will be at Immaculate Conception Catholic Church beginning at 9:00. Burial will follow in Mount Calvary Catholic Cemetary. Memorial contributions may take the form of donations to Hospice of Western Kentucky, Heartford House, 2914 Old Hartford Rd., Owensboro, KY 42303 or Puzzle Pieces, 1512 Frederica St., Owensboro, KY 42301.